Want to know what the forthcoming Lady Gaga record sounds like? 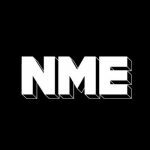 Peter Robinson was played some tracks during his interview for this week’s NME magazine – and got Lady Gaga’s take on them all. This features Gregorian pop chants, pervy robot voices (courtesy of Gaga’s bodyguard, Peter), window-rattling beats and the extraordinary line: “Put your hands on me, JF Kennedy”. With a soaring melody, nods to Springsteen and an industrial techno production represent the blueprint for ‘Born This Way’. A unicorn is mentioned. several tracks, including ‘Judas’, with religious references. Told as a love story between Gaga and a girl from LA, this is an acid house-fuelled Mexican-themed footstomper. Lady Gaga – Freak Or Fraud? For the full, frank, and tear-stained interview, grab this week’s NME.